ONE OF the things that users and collectors of vintage items like fountain pens have to deal with is the fact that these objects were once owned by people who are now, to put it starkly, dead. Through some circuitous route, something that they once held and possibly cherished has come down to us, making its way halfway around the world and providing another lifetime of service and pleasure to its new owner. Quite a number of the 100+ vintage pens in my collection have names inscribed on them. Since these pens come mainly from the 1930s and 1940s, and since a fountain pen (especially a gold-nibbed one as opposed to a “school pen” that kids like me learned to use in the 1950s and 1960s) would have been something that adults would have owned, it’s reasonable to assume that these names belonged to persons long gone. Some collectors don’t like these inscriptions and engravings, seeing them as imperfections that drastically lower the monetary value of the objects they’re imprinted on. I strongly disagree. I take them as part of the pen’s provenance, a direct link to the man or woman who once held the pen in his or her hand—who wrote letters of love and joy or anger and sorrow, who signed checks that grew a business and cards that made someone’s day. Few things are more private and personal than a pen—it told your deepest secrets, and you can choose and customize a nib to write exactly the way you want it to. When I started collecting pens thirty years ago, there was no Internet as we know it today, so there was no way short of spending hours poring over genealogical records to establish just who someone like “F. 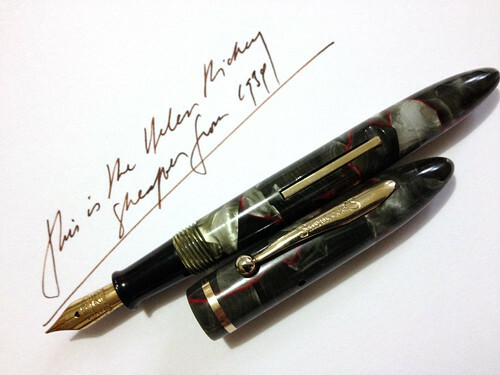 J. QUIRK”—the donor of my first Parker Vacumatic—was. By the time I got hold of a pen-and-pencil set of Parker Mandarin Duofolds belonging to “BLANCHE SAVIDGE” a few years ago, it took me only a few seconds to discover that Blanche had died at age 95 in December 2007; she had been a longtime teacher in her community in Pennsylvania, had never married, and was described as a “staunch Republican.” Or was she indeed my Blanche? Another Blanche Savidge, born ten years later in 1923, died in 2010 at the age of 87 in El Paso, Texas (curiously enough, she had also been an active Republican). The likelihood, of course, was that it was the Pennsylvania Blanche who owned my Duofolds, because I got them in November 2008, when the Texas Blanche was still alive. This puzzle came to mind again a couple of weeks ago when I received a bunch of old pens from my sister Elaine in Virginia—pens I had picked up on eBay, with the idea of keeping a few and selling off the rest. One of the pens in the batch was a sweet little Sheaffer Balance in red-veined gray pearl and gold trim from 1934 (after you deal with these pens for a few years, you’ll know their names and birthdates by heart). I had expected something bigger—most of the time, you never really know when all you have on eBay are the pictures, with very little description—so I decided, to help recover my costs on the other pens, that this Sheaffer would go to the pile for sale, as pretty as it was. Before posting it for sale, however, I gave in to my curiosity and Googled the name on the pen: HELEN RICHEY. The pen looked so fresh and the name was embossed so sharply in gold that it appeared that the pen had been used very little, if at all, these past 78 years. Assuming that Ms. Richey had been at least 20 when she received the pen—it was a high-end Sheaffer that a parent or a spouse might have given Helen on a graduation or a birthday—she would be approaching 100 today, were she alive. What I found on Google and Wikipedia floored me. There were, inevitably, a number of Helen Richeys that appeared in the search, but at the top of the list were two—the first, an Australian dancer who still serves a judge on the Australian edition of Dancing with the Stars; scratch that one out. The other prominent Helen Richey was a pioneering woman aviator (or “aviatrix,” as they used to be called), the first woman to be hired as a commercial pilot by a US airline. Born in 1909, this Helen once partnered with Amelia Earhart in a transcontinental air race, finishing creditably, and was the first woman to carry mail by air and among the first to teach flying. Sadly her life and career took a tragic downturn: an all-male pilots’ union forced her out of the cockpit, and she committed suicide in 1947. What an amazing life that was; what an education I’d had in just five minutes, and what an honor it would be if I had the flying Ms. Richey’s pen in my hand. The year this Sheaffer was made, 1934, was also the year Richey won the first national women’s air race in Pennsylvania, and the year she was hired by Central Airlines, a precursor of United. Might the Sheaffer have been a presentation gift, quickly put aside in her rush to return to the cockpit? As fascinating as that scenario was, I then remembered that the pen came to me from a seller in Illinois, and so I Googled “Helen Richey Illinois”, and discovered yet another Helen Richey, a lady who had been born in Gerlaw, Illinois in 1919, and who had died in the area in February 2012. Suddenly it made more sense for her to be the pen’s Helen; I had bought the pen on eBay in May, a few months after her death, presumably as part of her estate. While she was no barnburner, this Helen had also lived a full life, working in a local school. And that, I thought, was that—until I did some figuring and realized that the second Helen would have been only 15 when the pen came into the stores and into her purse; not impossible, but unlikely. Furthermore, this Helen had had two husbands—William Nicol and then John Richey—so that “Richey” was her second husband’s surname (John died in 1995). So she got the Sheaffer only after her second wedding; her eldest son George Nicol still lives in Texas and whose age is given by LinkedIn at around 60-64, putting his birthdate at between 1948 and 1952, suggesting that Helen didn’t get married until she was at least 28. Even if she was with William for only a few years before marrying John, she still would have had to be in her 30s—in the early 1950s—when she got the Sheaffer with John’s surname on it. Given that the 1950s were flush with swanky new pen designs, why would anyone give a loved one, or even oneself, a pen from 1934? Was it possible, even vaguely, that the other, the airborne Helen, whose timeframe accounts much better for the pen, had some Illinois connection? I’ve yet to find out. More strange connections exist: if this were the flyer’s pen, I’d give it to my son-in-law, who works in the aviation industry and who collects aviation memorabilia in San Diego, California, where a pictorial biography of Helen Richey can be found at the Air and Space Museum. I’ll leave it to those with sharper genealogical skills and better resources to tease this mystery out. In any case, now that I know this much about both Helen Richeys, I’m keeping the pen, which has suddenly made a friend, across the years and miles, of perfect strangers. I HAD an unusual encounter with history last week, by way of two sorties to two different exhibits that turned out to have a bit more to do with each other than I might’ve initially thought. It’s one of those sad ironies that we footloose Filipinos can make elaborate and expensive plans to visit the White House and Buckingham Palace without ever setting foot on our own presidential abode. It could be that for far too long—particularly all those years of martial law—Malacañang didn’t lend itself to friendly visitations by ordinary citizens. That, plus the fact that we Pinoys have never had much of a sense of history, beyond routine celebrations of Independence Day and tired if not tiresome commemorations of Edsa 1. We’ve been schooled to think of history as high drama, as a calendar of big events, forgetting that those events were forged in offices, classrooms, factories, and the shade of mango trees. Malacañang is, of course, the perfect theater for high drama—one of the balconies in the museum was the setting for that famous picture of Ferdinand Marcos and his family vowing defiantly to stay and to fight on, shortly before decamping to America in February 1986—but it was also, and remains, home and office to a long succession of men and women who led the country, people doing nothing more earth-shattering on most days than signing letters of condolences and felicitations and proclamations declaring this or that period to be National Fire Prevention Week. As a museum rat, I’ve always been fascinated by presidential and royal regalia, and by the mementoes left behind by the high and mighty—not to be awed by them, but to appreciate their humanity behind the pomp and the poses. George Washington’s signature blue coat is on display at the Smithsonian, but so are his dentures, which must have hurt far worse than mine, and I don’t even have to worry about putting a country together; the mock pockets on Jose Rizal’s jacket in Dapitan betray a sharp fashion sense even in exile (and the smallness of his body size—a surprise to many Filipinos expecting a titan of a hero—merely accentuates his real stature). Last week, thanks to the invitation of Ronnie Geron—an undersecretary in the palace and an avid member of Fountain Pen Network-Philippines—our group of over 30 fountain-pen enthusiasts got to visit and tour the Presidential Museum and Library. Since fountain pens themselves are something of an anachronism, stepping back into presidential history was a treat for all of us, and we can’t be blamed for feeling that the highlight of the tour was staring at Emilio Aguinaldo’s pen, or what remained of it—a piece we quickly identified as being very likely a Waterman 52 in mottled red hard rubber (a sorry shell of a pen, in exchange for which I offered to provide a near-mint example from my collection—but no one seemed to be too interested). There were no other pens to be found that day in the museum and library, but there were roomfuls of other memorabilia, from the time of the Spanish and American governors-general to the prewar, postwar, and recent presidents: photographs, paintings, clothes, books, furniture, documents, and campaign materials. Every president had either a room or a corner devoted to materials from his or her presidency, and our very knowledgeable guide—a young man named Louie—walked us through the history of every room, mindful that the building itself was historic, quite apart from its residents. The museum and library are located in what is now known as Kalayaan Hall, a 1921 structure used by the Americans as their Executive Building; the Marcoses called it Maharlika Hall, but Cory Aquino gave it its present name. 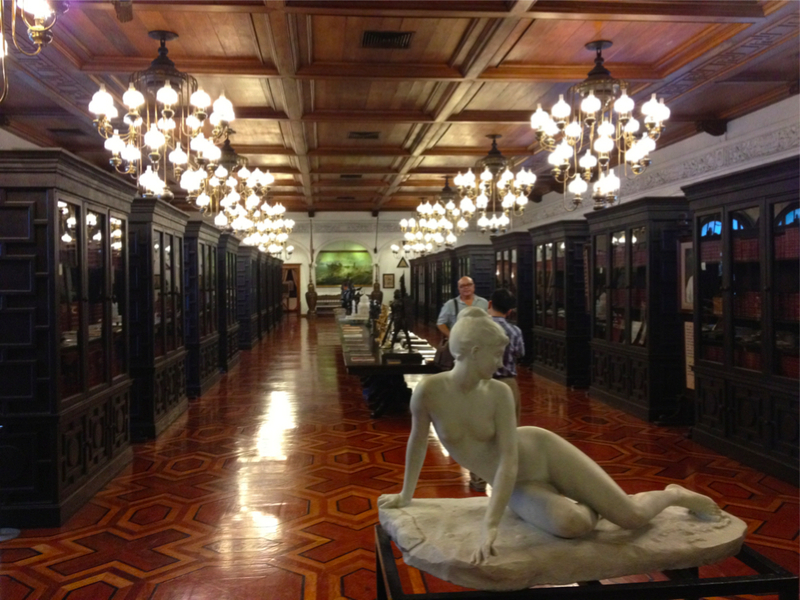 Aside from the Main Hall and Library (or the Gallery of Presidents), the building also contains the Old Waiting Room Gallery, with materials from the Spanish era; the Old Executive Secretary’s Office, with rare Rizaliana; the Old Governor-General’s Office, the Osmeña Cabinet Room, the West and East Staircases, the Quezon Executive Office, the Quirino Council of State Room, the Roxas Cabinet Room, and the Northeast and Southeast Galleries. Plan on spending at least an hour to see and imbibe everything. What most Filipinos (including many of us) don’t know is that tours of the Presidential Museum and Library are available for a minimal fee to individuals or groups who make the necessary arrangements beforehand. (Call 784-4286 local 4945 or email pml@malacanang.gov.ph for details.) 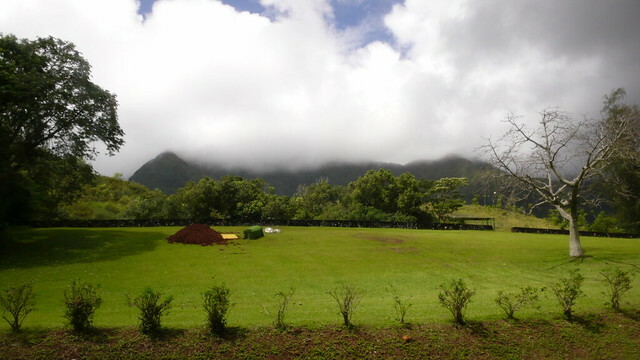 The entrance is through Gate 6, and parking can be had at the Freedom Park just outside the gates. Another exhibit that I made a point of looking into was one at the Cultural Center of the Philippines Main Gallery, titled “ReCollection 1081: Clear and Present Danger (Visual Dissent on Martial Rule),” co-curated by Marika Constantino and Ruel Caasi, and staged by the CCP in cooperation with the Liongoren Gallery. ReCollection 1081 brings together a selection of artworks produced by Filipino artists during and after martial law, as well as publications produced by both the underground and alternative press. Those who lived through martial law can’t possibly miss the irony of the exhibition venue—much hated and derided in Imelda Marcos’ time as the domain of the elite, but long since reclaimed by more ordinary folk. This show was already written about by Constantino herself a few days ago here in the Star, so I’ll just have a few points to add—chiefly, that the artist’s protest against oppression, injustice, and exploitation both preceded and continued after martial law (see Jaime de Guzman’s Sabbath of the Witches, 1970, and Nunelucio Alvarado’s Tunok sa Dahon, 1986). It was martial law, of course, that provoked both the most explicit and subtlest forms of protest, demanding both courage and wit of the artist, and this range of responses is on full display in the exhibit. Assembling these works was already a feat in itself, considering how many more such works (and their creators) have been lost in the crossfire. Their survival into another century and their installation in the cultural bastion of the dictatorship is sweet poetic justice. ReCollection 1081 runs until September 30. 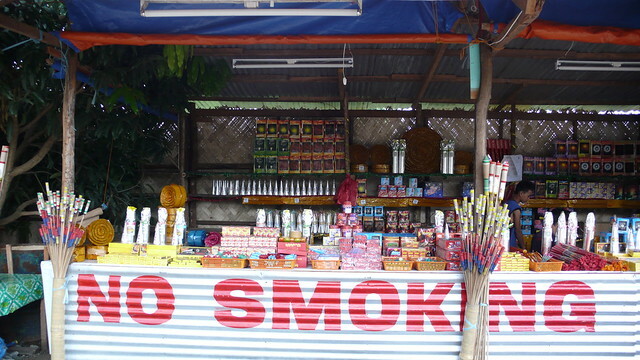 A stall selling all kinds of fireworks and firecrackers in Puerto Princesa. THE RECENT passing of Dolphy, inarguably the most talented and best-loved Filipino comedian of his generation, brought back some warm memories—not just of me as a kid enjoying Dolphy and Panchito do their “song translation” routine every Sunday on “Buhay Artista”, but also of what could have been a historic opportunity to work with this comic genius in a non-comic way. The time was the late 1970s, and I had just started out in my screenwriting career with Lino Brocka, for whom I had already written some scripts. Lino and I would go on to do more than a dozen movies together, but the big one that got away was a project that Lino had lined up for Dolphy, Pilar Pilapil, and the very young Niño Muhlach, who had already been introduced as a dramatic sensation in Tahan Na, Empoy in 1977. Shortly after Empoy, which was a big commercial success, Lino was asked by a producer—Jesse Yu of Lotus Films, who had bankrolled Empoy—to think of a project that would involve Dolphy. Lino then asked me to work up a storyline and a treatment, and we came to the agreement that it would be interesting if we took Dolphy out of the gay comedies he had become famous for (such as 1969’s Facifica Falayfay) and put him in a straight, dramatic role. After a week or so (that was all the time we had back then, when movies were routinely shot within a month), I came up with a storyline I tentatively titled Si Abe, Si Bugoy, at Si Pilar (yes, I liked Pilar Pilapil’s name so much that I decided to keep it for the character) where Abe was a kutsero driving his caritela in the Binondo area, Bugoy was his nephew and sidekick, and Pilar was a lady of the night. It shouldn’t be too difficult for you to guess the rest of the story from there (cut me some slack—I was only 23, and enamored of Fellini, neorealism, and all that jazz). In any case, the movie never got made; the reason I heard, which could have been true or not, was that Dolphy thought it too abrupt a departure from the norm, his norm. I was crestfallen, but soon got busy with other Brocka projects like Inay (my personal favorite of all my Brocka scripts, a light domestic comedy starring Alicia Vergel) and Mananayaw (with Chanda Romero, breathlessly described by the movie blurb thus: “She’s Wild… and Dangerous! It Takes More Than Love To Tame Her!”). Meanwhile, Dolphy did go on to work with Lino and another very talented scriptwriter, Dandy Nadres, on the delightful 1978 Lotus melodrama Ang Tatay Kong Nanay, where Dolphy played a gay parent caring for a young son, Niño Muhlach. I never did get to write a script for Dolphy, which was too bad (certainly more for me than for him). In those days I would’ve given my right arm for the love of art, and what the client wanted still mattered less to me than what my feverish imagination was urging; I had convinced myself, rightly or wrongly, that I could’ve written a script that Dolphy would have loved, once he had actually read and acted it out. I don’t think that I ever got to meet Dolphy in person, either (not that I met all that many stars; despite scripting two dozen movies, I never became an industry insider, although I remained a lifelong fan of such fine actors as Dolphy, Nora Aunor, Vilma Santos, Gina Alajar, and Jacklyn Jose—and, of course, Sharon Cuneta, for whom I wrote three movies). I’ve been asked since, “Does Dolphy deserve the National Artist Award?” I’ve always thought so, but it’s a good thing that the Palace didn’t succumb to the enormous pressure to give it to him in a hurry, just because it seemed like he was about to go. He’ll get it, in good time, for the right reasons. If he’s where most people seem to think he is, looking down at us with an arched eyebrow, he’ll see it happen, and crack a smile, tip his hat, turn on his heel, and saunter off, whistling. Flotsam & Jetsam No. 5: What a Fish! 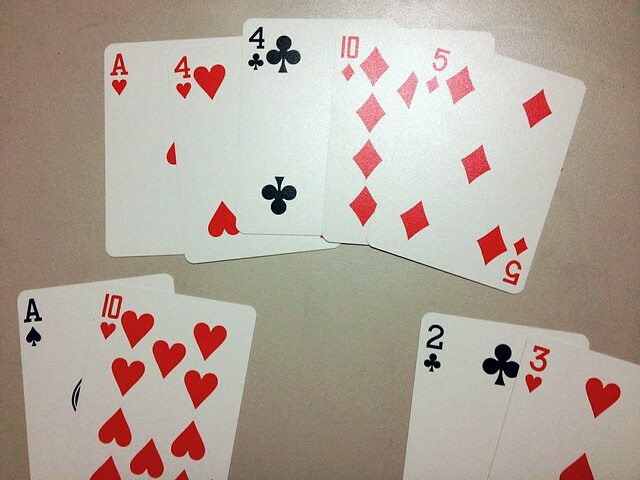 We played this hand at the 10-20 table at the Metrocard Club last night (or make that early this morning), and it shows exactly why I’m such a fish who can’t resist making awful donkey calls, despite my illusions to the contrary. 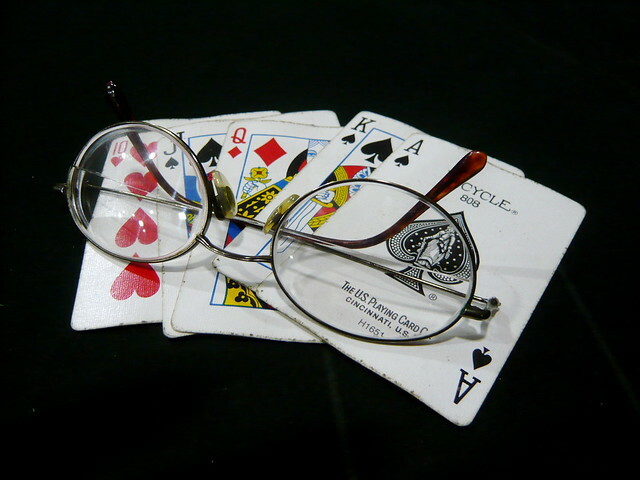 The “villain” (not a derogatory term in poker–just the guy or gal you’re betting against) bet 100. I said, what the heck, and called. The turn was a 10. The villain thought a bit and bet 160. I tanked, figured that I had lost more than a thousand already and had to go home soon, and called. The river was a 5. I sighed and went all in with my remaining chips, bringing the pot to around 3,000. The villain tanked for about three minutes, trying to figure out what I had. “Please make him call,” I prayed to the poker gods. “Please, say call!” Finally, wanting to fold but too curious to let go, the villain called, and showed an A-10, good for top two pair. I turned over a 2-3 offsuit for a baby straight. I thanked him, slugged the chips into a rack, and went home. What a fish! EVERY OTHER semester, I get to teach a graduate class in Creative Nonfiction at the University of the Philippines, alternating with my friend Jing Hidalgo, who’s probably the foremost expert on the subject in the Philippines, having written a manual and a reader for CNF, as we call the genre. “Creative nonfiction” may be a relatively new term in academia, compared to “the short story” or “the essay”, but it covers many kinds of writing that have been around for ages—including and primarily, yes, the essay. There’s a lot of variety but no great mystery to it—you could be writing about food, Tibet, your old car, religion, painting, your grandmother, or hypoglycemia; the important thing is that you’d be dealing with matters of fact and opinion, employing the techniques of fiction. Looking back in my own practice, I realize that I’ve done more work in CNF than in fiction—not only because I enjoy doing it, but also because it provides me with a living, which fiction simply can’t, at least not in this country. I’ve written quite a number of commissioned biographies, and while there are certainly limits to what you can put in such works—as differentiated from independent, critical biographies such as a professional or academic historian (which I am not) might do—they allow and call for the exercise of a broad range of CNF techniques: description, narration, dialogue, and contextualization, among others. This semester, for the first time, I’ve decided to depart from the usual CNF syllabus—which has students writing about themselves, their families, their loves, and their peeves—and have my class do a little of what I’ve been doing, Biographical Writing. To my recollection, nobody has ever taught it in UP, at least in our department; but the truly novel thing about teaching it is, I believe, in getting students to leave themselves behind and to start focusing on others. (I’m disallowing them from doing autobiographies or memoirs, and from writing about their families or loved ones.) At least for this semester, I want writers to see art not as something touchy-feely or inevitably, intimately personal, but as an approach to the capturing and the representation of the external. Their subjects need not be big names—indeed, I’d prefer biographies of ordinary people, suspecting that in them reside the true aches, plaints, joys, and fantasies of the nation. 1. Comprehension. How well do you understand your subject—both the person, and his or her context? This understanding is not a premise, but a goal, of the project. We can have some idea in the beginning of what we’re writing about, but we don’t really know him or her until we undertake the writing—which is to say, the subject doesn’t grow larger but actually smaller and more human in our eyes. 2. Clarity. Descriptions, statements, and explanations should be made as clearly as possible, even if their meaning may be ambiguous. Readers should never be in doubt that they are looking at, say, a green umbrella wet with rain, or dealing with a character whose sadness is laced with guilt. Concrete objects are easy to render clearly, but abstractions and complex emotions require more skill and sensitivity to capture and present. 3. Correctness. Did you get everything right, and represent everything as fairly as you can? The good CNF writer doesn’t invent, ignore, or change the facts, even as the final appeal of the piece will depend on his or her interpretation of them. 4. Precision. A good writer will find the exact word for the object or the situation—or the exact shade of green or brown, as the writing situation may require. 5. Proportion. How much of the subject should you cover, to what degree of intensity? How do you distinguish between the important and the trivial? Given, say, a 7,000-word limit for a brief biography, how do you make a 90-year-long life seem not too long, and a 35-year one not too short? 6. Perspective. Given the same set of facts, one writer’s interpretation and presentation of them can prove to be more mature and circumspect than another’s. That maturity and circumspection could come with age and experience, but it can also be acquired through wide reading and scholarship. I tell my students—mostly English majors—that literature is just a starting point for the CNF writer, who needs to cultivate an interest in and develop a working knowledge of history, politics and public affairs, business and economics, and science and technology. Perspective can also be a matter of both angle and distance, of the writer’s attitude towards and closeness to the subject and of the writer’s ability to put things in context. 7. Language. Sadly, even with all of the above, if you don’t have the language, then you can’t write. Language’s first and foremost task is communication, but at its most challenging and exhilarating, language is the writer’s way of expressing the otherwise inexpressible. In the very least, I look for competence—command of the sentence and its structure; no huge and recurrent problems with grammar, spelling, and punctuation; some degree of fluency; clarity and forcefulness of expression. The outstanding student will write not only with competence but brilliance, which is not be confused with an exotic vocabulary (often resulting in a forced and artificial elegance) but which rather makes the most out of the simplest words, finding the extraordinary in the ordinary. Biographical writing clearly isn’t for everyone, especially since we’re mostly interested in ourselves. But again, as I keep reminding my students, writing about others is the best preparation for writing about oneself, because it should lead to greater and more honest self-awareness—and besides, the writer’s self is never lost in a biography; it’s there, in the questions one asks, in one’s choice of detail, in one’s appreciation of another person’s life. As a way to learn and to practice writing, biographical writing will also exercise the student in a way that writing poems, stories, or essays won’t; if the poem is the hundred-meter dash and the novel the marathon, the biography is the triathlon, requiring not just strength and endurance but versatility, pacing, and the ability to cope with ever-changing environments. I’m looking forward to reading a good semester’s crop of biographies, of ordinary lives rendered extraordinarily. MET THESE, uhm, ladies in an ukay-ukay (used clothing) store in Puerto Princesa. 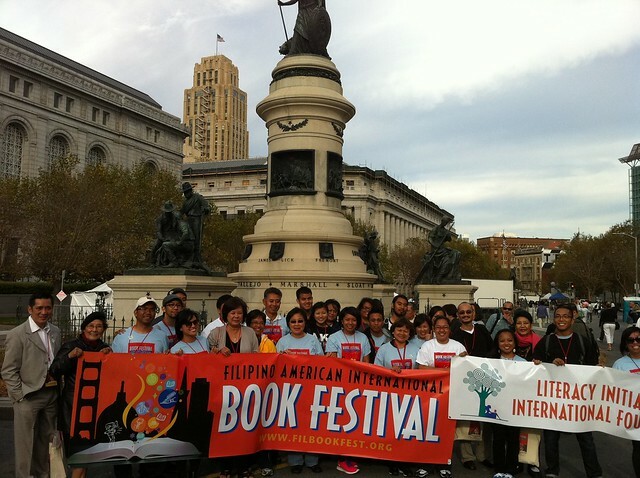 This being the Fourth of July, and my daughter Demi having taken her oath as an American citizen a couple of weeks ago, I thought I’d repost this piece I wrote for the now-defunct San Francisco-based magazine Filipinas a few years ago. I HAD a very pleasant and engaging semester as a visiting professor at St. Norbert College in De Pere, Wisconsin, last fall, a welcome break from my teaching duties at the University of the Philippines, where I should be back in harness by the time you read this. Not only did my stint at SNC allow me to introduce the Philippines to about 50 of my own students, only three of whom were Filipino-Americans; I was also able to speak before several groups of students and compatriots in other schools—the University of Michigan, the University of California at San Diego, and Marian College in Fond du Lac, Wisconsin. With UCSD having one of the biggest Asian-American student populations among US universities, my encounter with the students there after my formal talk proved the longest and most challenging. Here, a student raised a question that I would hear in other places: what was the best thing Filipino-Americans could do for Filipinos and the Philippines? I’m sure that it’s a question that occupies Filipino-Americans all the time, and for which there are any number of answers, some easier and more obvious than others. 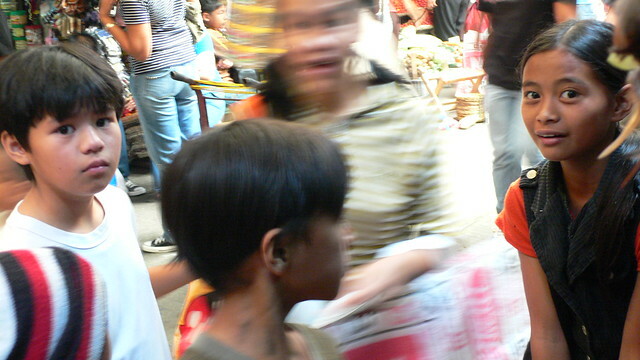 When a supertyphoon hits the Philippines and ravages the land, then relief goods are always welcome; when poor Filipino boys and girls can’t go to school despite their talents, their lives can be changed by scholarships from Fil-Ams who also worked their way up the educational and economic ladder. Many US-based doctors make regular pilgrimages home on medical missions to poor communities. Some Philippine schools receive loads of used books and computers from their alumni in America. All of these efforts are noble and much appreciated, for sure. A few of them may have been undertaken more to burnish the image of the donor than to uplift the lot of the receiver, but in the end, it doesn’t matter: some public or private good has been done. At the same time, such humanitarian projects are basically defined by a relationship of dependency, with America as the perennial giver and the Philippines as perpetual receiver. It’s a relationship that, like I told the students in San Diego, can sometimes grate on both sides, with Fil-Ams feeling like the only thing they’re useful for is another donation to another needy cause, and Filipinos feeling like they’re seen as little more than mendicants. It gets worse when—dependency or not, and whether out of frustration, bossiness, or a genuine concern—some Filipino-Americans dispense quick and easy prescriptions for the cure of Philippine maladies as though nobody back home had the brains or the guts to come up with such ideas on their own. One such bromide Pinoys often hear is, “Why don’t you just unite behind the President and stop bickering with one another?” Sounds good, but it makes me wonder why more than two million Filipino-Americans can’t get together under, say, just one dozen regional associations and one alumni association for each major university or college, and elect a congressman or US senator among themselves. The fact is that the best and worst of our culture manifest themselves on both sides of the ocean. Our generosity, our sense of self-sacrifice for the good of the family, our commitment to education, and our industry and resourcefulness have helped us back home as much as they have gained our compatriots a firm footing in American society. On the other hand, the same sorry habits of inggitan, intrigahan, and siraan have fragmented Filipinos in Manila and Manhattan, in Cebu and Chicago, in Davao and Detroit (I’m using these cities metaphorically, but I’m sure you can supply the damning details). One of the worst examples I heard of recently had to do with the visit some years ago of a Philippine president to a Midwestern city—only to find two competing Fil-Am organizations holding two separate programs in two hotels facing each other across the street. So what did I tell the bright and idealistic Fil-Am students who asked me what I thought they could best do for the Philippines? Be good Americans, I said—whatever that may mean to each of them. Get engaged in America’s political processes, and make a difference in your own sphere of action. Vote not just for fellow Filipino-Americans—although a few more such voices in high places could help the community as a whole—but for political leaders who will make responsible decisions that will benefit peoples everywhere, including Filipinos. As the world’s only remaining superpower, America needs all the critical intelligence (and I don’t mean military intelligence) it can muster, and Filipino-Americans can make themselves heard on both domestic and foreign-policy issues, instead of simply going with the flow and making themselves as inconspicuous as possible. And what’s our claim to being in a unique position to tell Americans and American leaders something they don’t know? Well, we lived with America for half a century. As I often tell my American friends, we were their first Vietnam; and yet we also view America with much greater affection—some would say unreasonably so—than they can ever expect from Afghanistan or Iraq. Overseas charity is good for the soul and is always welcome; but as they say, it begins at home, as does good global citizenship.